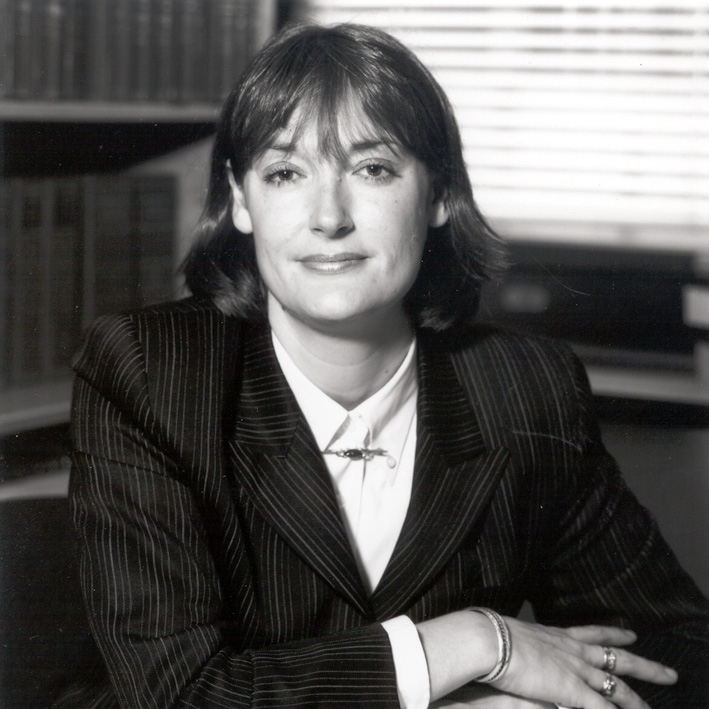 Kay Pysden is the founder of Pysdens Solicitors. She is a highly experienced practitioner in the field of Marine, Multimodal Transport and Logistics. She trained as a Solicitor from 1985 and gained specific training in this field leading to qualification in 1987 and practice in this field ever since. She gained her honours law degree in law at University College London in 1983. The leading cases in this field which she has handled are “The Komninos S”; “Texas Instruments-v-Nason Europe”; “Spectra-v-Hayesoak”; “Cert Plc-v-George Hammond Plc”; “Rhone Poulenc Rorer limited–v-TGA Limited”; “Netstal Maschinen-v-Dons Transport”; “International Transport Roth Gmbh-v-Secretary of State for the Home Department”; “The MV Darya Radhe” and “Matrix Europe Limited –v- Uniserve (Northern) Limited, Part 20 Defendant Logwin Air & Ocean Limited”, and “Rohlig UK Ltd-v-Rock Unique Ltd” all of which have had a significant impact on the transport and logistics industry. She acts for a number of specialist marine and transportation insurers, intermediaries and freight forwarders as well as importers and exporters in disputes involving private conditions, standard trading conditions and transport Conventions including CMR; Hague; Hague-Visby; Warsaw and Montreal together with having wide experience in warehouse fire and other large scale disputes. She has long experience in the field of drafting bespoke logistics, outsourcing and warehousing and distribution contracts and terms and conditions of trading, having handled the legalisation of the 2005 BIFA Conditions, and the drafting of indemnity and guarantee and licence agreements for clients. She also advises on insurance policy wordings. She has also dealt with many lien and demurrage disputes for forwarding clients and has acted on behalf of forwarders in many regulatory issues such as water pollution; dangerous goods breaches; carriage of clandestine entrants and contraband; and customs disputes with HMRC. She also handles enforcement process to recovery unpaid debts through interim and final charging orders and orders for sale of property. She is a lifetime Honorary Member of FIATA having held the position of Chairwoman of the Advisory Body on Legal Matters of FIATA and Chairwoman of FIATA’s Ad Hoc Working Group on the UNCITRAL draft Instrument on the Carriage of Goods for four years. She advises BIFA, the British International Freight Association and sits on their Legal and Insurance Policy Group and has represented them on the Working Group of the Shipping Policy Group of the Department of Transport relating to the Rotterdam Rules. In July 2000 she presented a paper entitled “Multimodality in Modern Transportation-the need for Regulation” at the United Nations Colloquium on Transport in New York, having been requested to do so as a prelude to the Uncitral work beginning on the draft Instrument for the carriage of Goods. Further, in September 2001 during the visit of the Chilean President, Mr. Lagos and the Chilean Trade Mission she presented a paper entitled “Jurisdiction and Law-Implications for International Commerce”. Her comments on the subject of antiterrorist measures and their implications for the transport industry and International Commerce have been published around the world, and quoted by Associations, Governments and World Organisations from 2002 to date. In October 2010 she delivered a paper in London organised by the ICC on the synergy between transport contracts and the new ICC Incoterms 2010. She has coordinated and worked on three papers with other eminent professors and practitioners from various countries in opposition to the Rotterdam Rules published in August 2009 and April 2010 with the last being published in November 2014 as a tribute to the late great Professor William Tetley Q.C. She has also worked with South American lawyers to assist in the success of the Montevideo declaration signed by many eminent professors and practitioners from Latin America. More recently she has been involved in assisting the forwarder position concerning the proposed changes to product safety regulation in the EU. Also, in the specialised area of head injury litigation, she handled the leading cases of “Wells-v-Wells”, and “Griffin-v-Kingsmill” which also involved issues of professional negligence. La Cuarta Revolución, la ley y el Sistema legal: Pago compensación. Please feel free to contact us with any comments, questions or proposals that you may have! Kay Pysden as Pysdens Solicitors is regulated and authorised by the Solicitors Regulation Authority under SRA Number 404893.